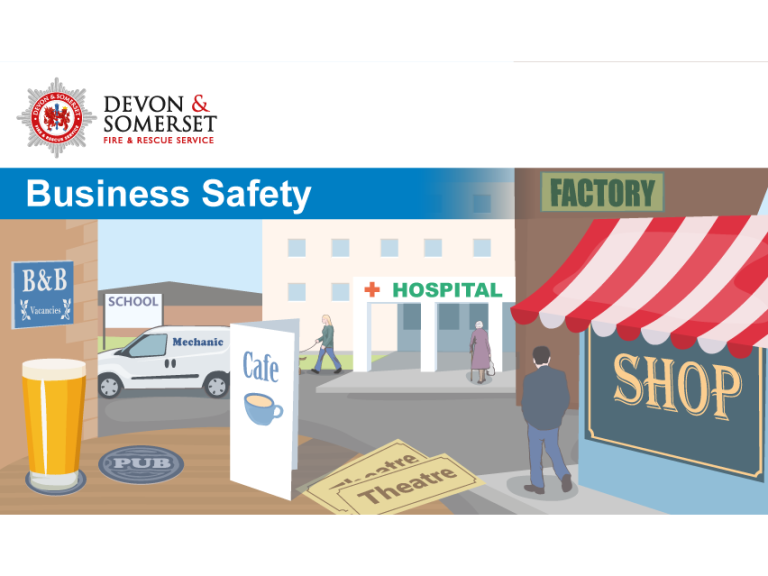 Devon & Somerset Fire & Rescue Service remind all businesses to consider fire risks in their organisations, and make sure that their employees are aware of the causes and consequences of fire. Most businesses that suffer a fire do not recover. In these competitive times when growth and sustainability are a priority, preventing and safeguarding businesses against financial and commercial loss is of key importance. A fire can cause major disruption for any business but there is a far greater chance of recovery if risks have been identified, and appropriate arrangements have been put in place to prevent fires starting, or to lessen their impact. Fire safety is important and all businesses must have a Fire Risk Assessment. This is the cornerstone of fire protection for any business. How do you do a fire risk assessment? Devon & Somerset Fire & Rescue Service work closely with businesses throughout the year. Helping them to effectively manage their fire risks, safeguard their staff, premises, stock and potentially their livelihood.